ENTERTAINMENT HAS A NEW CURRENCY. Get your Grand Cinemas’ Loyalty Card now and change the way you go to the movies. With G-POINTS, you can now enjoy a variety of rewards and prizes across all Grand Cinemas theatres. Every LBP 1,000 spent at the box office and/or Concession area is equivalent to 2 G-POINTS. And guess what? 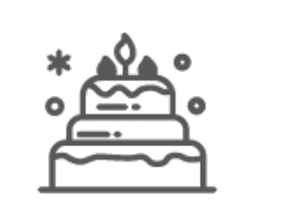 You get 100 G-POINTS offered upon registration! G-POINTS lets you benefit from exclusive offers all year long. Benefit from LBP 2,000 Discounts on the 1st and 2nd show tickets. Get 10 extra G-POINTS every Tuesday. Earn 15 extra G-POINTS by purchasing tickets and concession items through our e-platforms: M.App / website / e-Kiosk. G-POINTS can be accumulated at all Grand Cinemas branches: ABC Achrafieh, ABC Dbayeh, ABC Verdun, Las Salinas, Galaxy and The Spot Saida. G-POINTS can be redeemed at all Grand Cinemas branches. 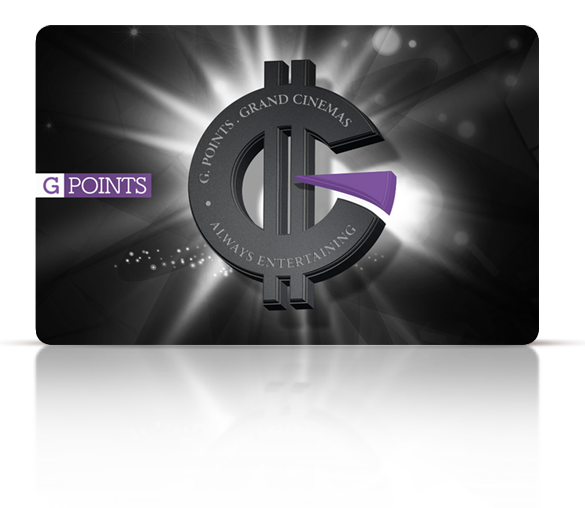 G-POINTS can be earned through Grand Cinemas e-platforms. Tickets redeemed are to be collected and used on the same day of the points redemption. 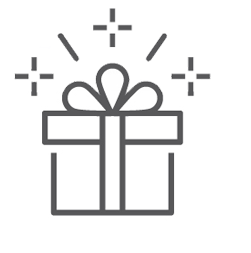 Items redeemed are to be collected on the same day of the points redemption. Grand Cinemas reserves the right to modify or change the Terms & Conditions of the G-POINTS Loyalty Program at any time. With Grand Cinemas’ loyalty program, you can redeem your G-POINTS with movie tickets, concession items and G-Collectibles. G-POINTS expire after 15 months. You will get 3 additional months to redeem them! G-POINTS cannot be earned at the G-Collectible corner. As a Thank You for your Loyalty. You can now earn G-Points at any GC branch at the box office or concession area. 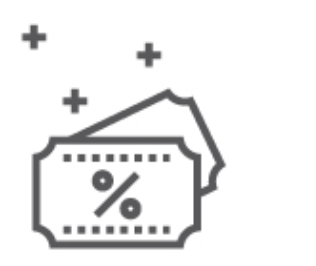 Your points are your currency and are redeemable by cinema tickets, snacks and discounts from partners. So Grab your friends and come enjoy a rewarding movie at Grand Cinemas! Now movies will pay you back. The more movies you watch, the more points you earn. And these points can be redeemed for a host of goodies like popcorns, sodas, snacks and even VIP tickets. So rejoice, your next movie is going to offer you more than just entertainment. How do I get my G-POINTS card? 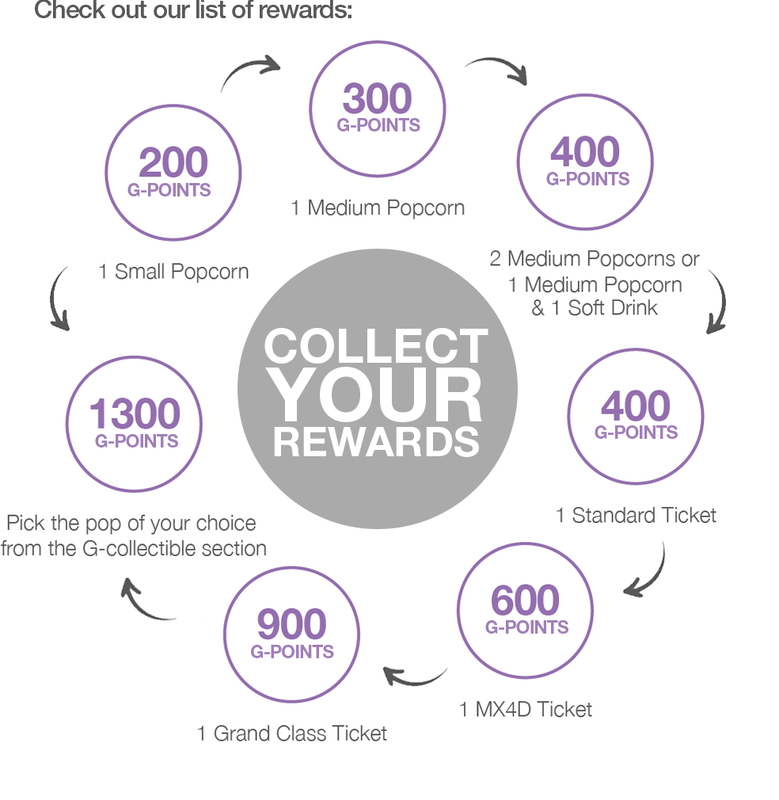 Join the G-POINTS Loyalty Program at any of Grand Cinemas box offices for free. 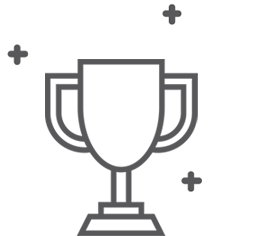 Simply just ask for your card and you will be able to accumulate points on the spot! How do I collect G-POINTS? Every LBP1,000 spent at the box office and/or Concession area is equivalent to 2 G-Points. You can also cumulate points upon purchasing tickets on our e-platform: Mobile app, website, E-kiosk. At which Grand Cinemas branches can I use my G-Points card? You can cumulate points at Grand Cinemas ABC Achrafieh, ABC Dbayeh, ABC Verdun, The Spot Saida, and Las Salinas You can also redeem your points at all Grand Cinemas branches.